Struggling to find the perfect gift for that hard to buy for sports fan in your life? Matchroom Sport have the answer. With a range of tickets available to a multitude of events in 2017, Matchroom Sport can help you give the gift of great sporting action this Christmas. Whether its darts, snooker, boxing or one of our other ten sports they love, treat them to tickets for one of 2017’s biggest events. Looking for an extra special gift? We have a range of premium and VIP options available at many of our elite sporting events. Let us inspire you to giving the best Christmas gift the sports fan in your life will receive this year. 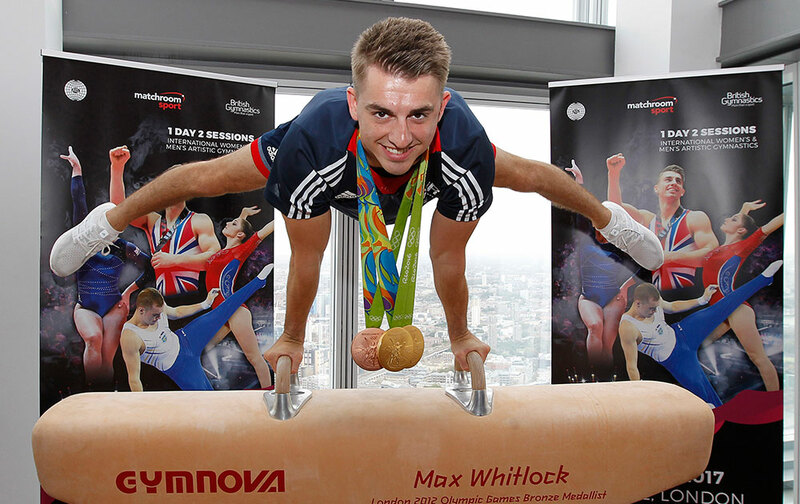 Matchroom Sport, in partnership with British Gymnastics, bring the World Cup of Gymnastics to The O2, London on April 8, 2017. As host, Great Britain get an additional spot in the event. Set to feature Team GB stars such as Olympic Gold medallist Max Whitlock, the World Cup of Gymnastics sees the world’s best gymnasts compete in the ‘all-around’ format with six apparatus for the men’s competition and four for the women’s.Back on home soil after an outstanding performance at the Rio Olympics, some of Team GB’s gymnastics superstars are expected to spearhead an international field of the world’s best in this major global event in front of a packed out crowd at The O2 in London. A phenomenon in British sport, played out at major arenas across the UK on Thursday nights from February to May. Led by six-time champion Phil Taylor, world number one Michael van Gerwen and reigning champion Gary Anderson, the Premier League pits the world’s best ten players against each. The newest major event on the PDC’s calendar sees the world’s top 16 players battle it out for a share of the £200,000 prize fund over two pulsating days of action. The Masters pits the sport’s elite top 16 against each other to join the names of Phil Taylor, James Wade and Michael van Gerwen on the magnificent trophy. Matchroom Sport has been among the world leaders in major boxing promotion for over quarter of a century. With a stable featuring World Champions such as Kell Brook, Tony Bellow and heavyweight sensation Anthony Joshua, Matchroom Boxing bring 20 fight nights per year to major venues around the country. Snooker’s most prestigious invitation tournament has a rich history dating back to 1975 and it is considered one of the sport’s Triple Crown events, alongside the World Championship and the UK Championship. 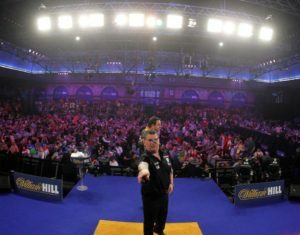 Only the elite top 16 players are invited to compete for the famous trophy and a top prize of £200,000 in front of sell-out crowds at Alexandra Palace, London. The Ladbrokes World Grand Prix was staged for the first time in 2015 and is contested by the top 32 players from a unique ranking list. Judd Trump won the inaugural title, beating Ronnie O’Sullivan 10-7 in the final. In 2016 it became a ranking event for the first time and was won by Shaun Murphy, beating Stuart Bingham 10-9. In 2017 it will run from February 6-12 at the Guild Hall in Preston. Snooker’s top stars will be back at the Motorpoint Arena in Cardiff in 2017 for the Welsh Open. The world ranking event is part of the new Home Nations quartet of tournaments, alongside the English Open, Irish Open, Scottish Open. Any player who wins all four events will receive a massive £1 million bonus.The Welsh Open features 128 of the world’s leading green baize stars, in a flat draw with all players starting in the first round. The Coral Shoot Out is snooker’s fast and furious one-frame knock-out event. Each match last a maximum of ten minutes and features a shot clock of 15 seconds for the first five minutes and 10 seconds for the last five. Drama and excitement are guaranteed, with many matches going down to the last few seconds. The tournament generates an electric atmosphere and is great fun for fans. The Ladbrokes Players Championship is contested by the top 16 players from a money list running from the start of the season until the last qualifying event, which in 2017 is the Gibraltar Open. In 2017 the world ranking event will run from March 6-12 and staged at Venue Cymru in Llandudno for the first time. The UK Championship is one of snooker’s most historic and prestigious tournaments. 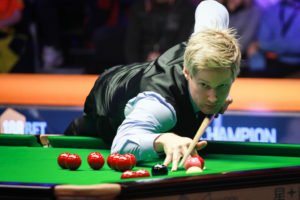 It is considered the second biggest ranking event, after the World Championship, and those two tournaments make up snooker’s Triple Crown along with the Masters. The UK Championship was first staged in 1977 and has been won by virtually all of snooker’s great names. Since 2011 it has been staged at the York Barbican, and attracts huge crowds throughout. The World Championship of Ping Pong returns to Alexandra Palace, London for another weekend of speed, power and old-fashioned skill, January 28-29, 2017 and tickets are on sale now. 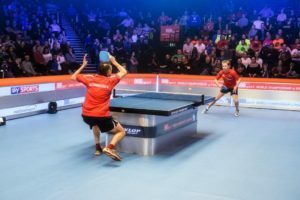 Now into its fifth year at the iconic Alexandra Palace, London, the next World Championship of Ping Pong takes place over the weekend of January 28 and 29, 2017, and will be broadcast live throughout on Sky Sports.